Daddio's Auto Parts can take away your unwanted car, truck, or heavy equipment. 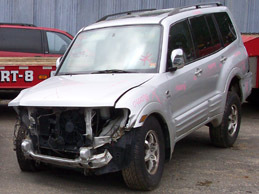 Whether it is a late model wreck or just an old junk car we can help. Call us anytime and see how easy it is to get that unwanted vehicle removed. We tow Monday through Friday 8 to 5 and will do our best to meet your schedule. Call us for details or if you have any questions.